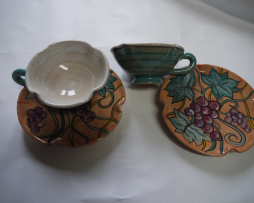 Scalloped coffee cups with grapes decorated saucer. 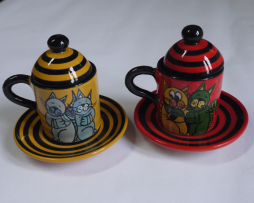 Coffee cup with cap and rows decorated saucer. 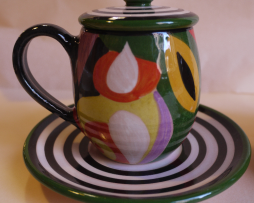 Coffee cup with black and white stripes decorated saucer. 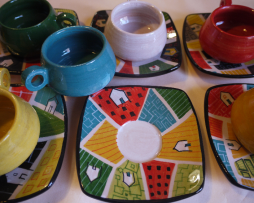 Coffee cups with various solid colors interior and exterior decoration and decorated saucer.